But that was just a step on the journey that began more than 25 years before when, as a junior in high school, he decided to make a career of illustrating children’s books.The summer after his freshman year at the University of Wisconsin at Madison, Henkes set out for New York, portfolio under his arm. “Each book is different. Some come easily, and some are very difficult to bring to completion. I’ll often think about an idea for months, even years, before I’m ready to write,” Henkes says. He then inks, tests colors for each illustration, then paints in watercolor. The PB Dummy Challenge crew wraps up its series on the #KidLitArt blog this week with this this post about how to pitch your story to the world and author-illustrator Tara Lazar’s encouraging video in which she shares truths about rejection and “revisions on spec” requests from editors. Learn drawing and painting the fun way this summer. 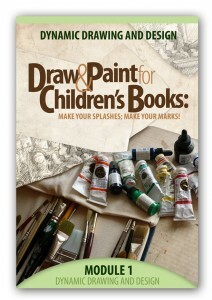 Take Mark Mitchell’s self-paced course Make Your Splashes – Make Your Marks!, which teaches a dynamic approach to illustrating children’s books using traditional watercolor. Discover a great secret about drawing (video) and more about the course here. I’ll admit that I was floored by the quality of the essays turned in for our “Epiphany” contest. The winning essay would net its author a terrific video course by illustrator and teacher Will Terry, How to Illustrate Children’s Books. Collectively the submissions gave me fresh insight into the readers of this blog. 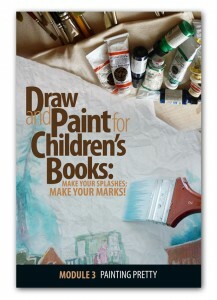 I already knew that many of you are illustrators or artists and love children’s literature. 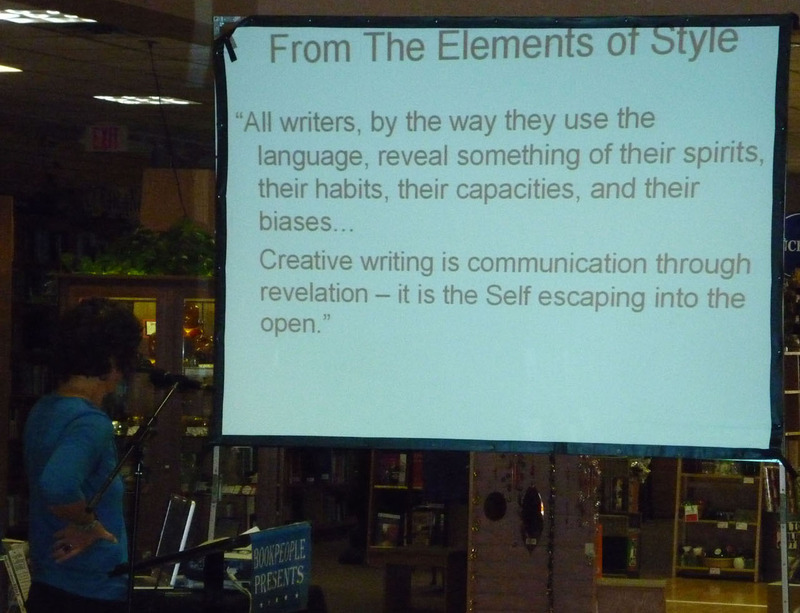 I didn’t know that so many are writers — good, analytical, thoughtful — eloquent in several cases — and practical-minded language handlers. These pieces were a pleasure to read. The answers were so good that I can hardly wait to publish them all here. I feel a pushing sense of urgency to get them out to you. But it will happen steadily over the coming weeks. Tonight we’ll publish the winner, by Maya Scharke of Quebec, Canada with its theme of doing, but doing bit by bit. A glimpse into the mind of an artist…oh how quickly the wings flutter, perhaps as fast as a hummingbird hovering around gooey artificial red syrup. It seems to churn in the middle of the night, in the early morning, over granola at breakfast, during quick skis in the woods, and most often in front of a warm fire with a glass of wine. The flurry of activity in my mind is analogous to that of a newly filled bird feeder on a cool crisp day, it scurries, dips, dives, spins and circles. I have often found myself looking into my mind, or that blank canvas saying, “Wowza, what should I do next? I have so many things to do, so much to learn! Do I develop my story ideas through gesture drawings, do I practice my perspective skills, do I work on character design, or value painting, or brush up on my figure drawing, or, or, um, or…oh boy, Wowza, what shoooould I do next?” I suspect these feelings of confusion that stem entirely from sheer excitement to ‘do’, often overwhelm many of my fellow artists in the same way. I have found it often translates into blocks of anticipation rather than productivity. This can be stifling, especially when life doesn’t produce many windows of time to deliberate! This type of activity in my mind has forced me to step back, re-evaluate how I quantify my productivity, or should I say qualify my productivity. I mean doesn’t it all contribute to the ultimate goal? I have made a pact with myself to approach my expectations of productivity differently, to focus on the overarching aspiration and contribute to that with baby steps. Open my sketchbook every day, try out new techniques, plan time to move my creative projects along, engage in discussions about art, and really make the ENTIRE creative process a part of my everyday life. So, that’s it, my epiphany, my insight, lift the pressure and just create! I encourage others to do the same. We don’t know what will come out of it but you can guarantee satiation, sheer satisfaction, and contentment from fulfilling such an intrinsic desire. Should you advertise in an illustration directory? For some children’s book artists this interview might be a little hard to hear and to bear. For others it could offer new hope. Jo Ann Miller of Serbin Communications’ Directory of Illustration suggests that illustrators think a little bit outside the book. You’ve seen artists’ directories — glossy annuals combined with online portfolio galleries where artists or their reps buy display ads. The Directory of Illustration is the dreadnought battleship of illustration directories, aiming its marketing guns at the entire waterfront of graphic arts, not just children’s publishing. That means children’s products, fashion and cosmetics merchandising, corporate promotions, retail advertising, medical illustration, the animation industry and even landscape design — to name a few. 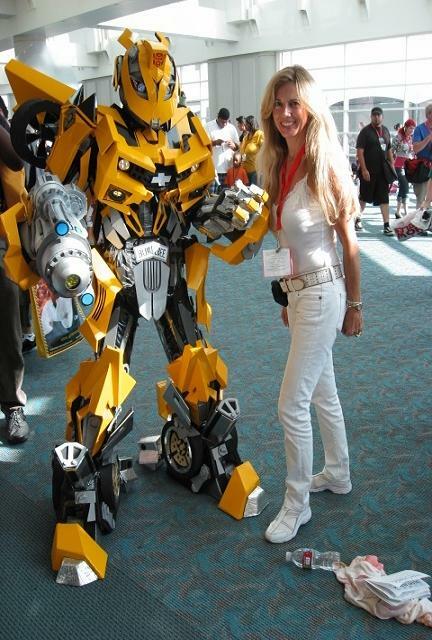 With the Toy Industry Association as a partner, the Santa Barbara, Ca. based publisher also produces Play! “Illustration for Toys and Interactive Games — a website for hiring toy and interactive game artists. Best of Photography Annual, the Medical Illustration Sourcebook , and Designer Jewelry Showcase are some other annuals from Serbin Communications. The Directory of Illustration is going on its 27th year. It’s not cheap being in a dominant industry directory . $2,500-$2,600 gets you a full page with 30 portfolio images. Artists re-up year after year, sometimes sharing pages with others who have the same art rep or agent. 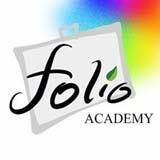 Program benefits include, hardcopy distribution to 20,000 illustration buyers and art directors, national online advertising, free website design and cross promotion with Contact, a leading talent directory in the UK and Europe. If you’re like me and many freelancers who keep a death grip on their wallets, you might question spending the equivalent of a small book advance every 12 months to participate in a showcase with a few hundred of your keenest competitors. Why do it when you can upload images for free to your Flickr page, WordPress.com blog, SCBWI portfolio, or favorite art web ring. Or mail out your own printed Christmas postcards to the small ranks of active children’s book editors? You can do it to reach markets for your art that you might never have thought of, says Jo Ann. So lets let her talk us through some of this. What does the “Directory of Illustration” offer artists who have their hearts set on illustrating children’s books? I love children’s book illustration and I work with many children’s book illustrators in the directory, but they also do other things. The children’s publishing market can pay very well but advertising and design generally pays better. The market for children’s book art ebbs and flows. The in-between target group — ages 12 – 15 (particularly girls) — based on what iour clients tell me, happens to be very active. New York illustrator Lisa Falkenstern generally works in oils, but also in egg tempera, acrylic, and digitally. Here’s her directory portfolio page. After 20 years as a professional illustrator,she’s just finished illustrations for The Busy Tree, by Jennifer Ward for ages 5-8, published by Marshall Cavendish. She’s also written and illustrated her own children’s work that is currently in production. Treat yourself to a look at her magical website. Is that what you told aspiring illustrators in the Portland chapter of SCBWI, when you were invited to speak to them recently? We discussed how the art buyer looks at the target audience and the age group within that target audience, and things like color — the palette. Right now purple and magenta colors dominate in advertising, so illustrators showing a lot of purple in their portfolios are getting looks. I can remember a few years ago when the Razor Skooter first appeared in stores — if an illustrator had a child on a razor scooter, he was appealing to art buyers who were looking to market to that age group. When Starbucks was ready to launch its franchises around the country every illustrator who had an image of a coffee cup on his page in our directory was getting calls. So you’re saying it comes down to the marketplace. Yes. So if you understand how to tell a story and emotionally connect with people in the pages of Scholastic magazine or a picture book — can you make the attitude shift to collaborate with an art buyer or a designer to put together a product or package? If you can, if you can interpolate the needs of the art buyers and you’re not afraid of taking art direction or design direction, you’ll strengthen your repertoire and make a little more money. Your children’s illustration on a children’s clothing hang tag. So your message to artists is, try to expand into different venues? Over the years I’ve seen illustrators getting their names in editorial publications because they were doing storytelling art for merchandise packaging. I’ve seen it work the other way, too — illustrators’ success grow from the editorial audience to the design audience. That’s because the same age group that buys a book will buy the game, the cereal, the clothing and the McDonald’s happy meal set with the character toy and all the packaging. The art buyer looks at the children’s market as being intertwined with comic books, graphic novels, sci fi market and merchandising and advertising. I don’t think illustrators are always thought of as having a style. They’re thought of in terms of solving a problem. the product… the ad campaign. So it’s not just storytelling, but it’s also selling a product. If you can show the skill set beyond storytelling, you broaden your appeal to the ad agencies and design shows. That means if you can illustrate a story, but you also have certain digital skills, some animation or flash, or modeling and 3-D skills, you’ll often be considered for a variety of products. Is there a place in this commercially driven universe for the traditional illustration, rendered with real paint on real paper? Digital art seems to get more attention than traditional art. It’s very popular for packaging and creating characters. It’s used to communicate just about anything. Digital artists get a lot of people looking in their portfolios. But there are always people — right now especially — looking for that nostalgic, hands on feel in the art. Watercolor, draftsmanship, the simple pen and ink line have a more important place than they had three years ago. Everybody’s been touched by someone who’s lost a job. People are going through a tough time. They want an emotional comfort level. That means images that strike an emotional, warm and fuzzy feeling, that appear hand-made rather than in your face and MTV-like. Would you want your child, your three year old exposed only to that hard edged computer or Disney- look? There’s always a need for the humaneness in visual images — particularly in an economy that’s struggling. And it’s often found in pictures done in the very traditional mediums like watercolor and pencil. I think artists of that old school style have shied away from promoting themselves. When they should be embracing opportunities to showcase their art. So we have artists in the directory like John Parra whose fine art/folk art traditional style finds outlets in many kinds of publications — including children’s books. who works in acrylic, oils and digitally. See his website. How to tout one’s own horn in the arts? In her own life Jo Ann ran up against this vexing question. At age 18 she became a national dance champion (having studied dance since the age of 5). She won the title of Miss Dance of America, which led to an invitation to enter the Miss America Pageant, where she tied for 11th place. After college studies in marketing she worked as a Ford Model in New York City. But an injury while filming a TV commercial forced a career shift — she launched a public relations firm on Rodeo Drive in Beverly Hills, California. Her client base came to include Vanessa Williams and President Ronald Reagan. Over the last 17 years Jo Ann has worked matching illustrators and designers with buyers and art directors, first with the now gone artists directory American Showcase, then Serbin Commuinications and The Directory of Illustration. Jo Ann, is it true that the Directory of Illustration is not for everyone? Not every children’s book illustrator will be right for the Directory of Illustration. Not all illustrators have the ‘want to’ or the ability to understand the buyer’s needs. And if the illustrator doesn’t get it and he’s not seasoned enough to deal with a call like that then it’s embarrassing for us. Our job is trying to match qualified art buyers with qualified illustrators. If they don’t match, we’re not doing our job. If the illustrator is too amateurish or hasn’t developed his ‘voice,’ he’s not ready for our program. We don’t want artists spending money for a program they’re not ready for. We’re not the vehicle to ‘break in’ with. I’ve turned so many people away, but with generous insight. Part of the consulting I’m doing is guiding these artists. Most want honest feedback, some idea of how they fit into the industry. If someone wants a discussion prior to investing in the directory or any kind of marketing program — I can consult with that person and help them out a lot. When I work with an illustrator, I make recommendations depending on the artist, trends and many criteria. I don’t tell someone what to do. I guide them, and send them back to the drawing board again and again. She offers one on one consultations — usually in the summer months. She recommends that they send a short introduction and an image or two ( jpgs or a site link.) And she encourages all artists to check out the Directory of Illustration website . “There’s a lot to be seen there,” she says. Don’t forget two big Texas conferences! Austin SCBWI comes first with Destination Publication set for Saturday, January 30, 2010. Houston SCBWI has set its conference for Saturday, February 20, 2010. Headliners include acclaimed author of short stories, funny picture books, Native American fiction, and YA Gothic fantasies, Cynthia Leitich Smith, Creative director at Henry Holt Books for Young Readers Patrick Collins and editors Ruta Rimas, Alexandra Cooper and Lisa Ann Sandell. Download their bios, conference info and a registration form here. courtesy John Parra and The Directory of Illustration. 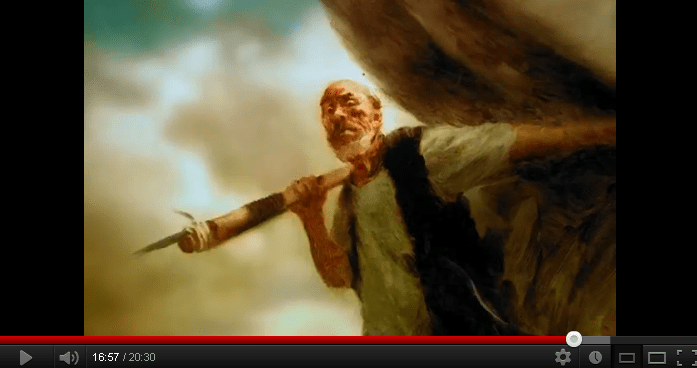 Mark Mitchell teaches children’s book illustration at the Austin Museum of Art Art School and online . The next semester of classes begins at the school’s Laguna Gloria campus next month, with Children’s Book Illustration I, January 27 – March 10, 6-9 p.m.
Children’s Book Illustration II March 23 — April 20, 6-9 p.m.
Mark teaches an online course on drawing and painting for illustration “Make Your Splashes; Make Your Marks!” that is self-paced and starts whenever you’re ready. Learn more here. Have you drawn an animal today? Knowing as we do that drawing children, people and animals is the stock in trade of the children’s book illustrator, let’s draw a difficult animal subject today. We’ve brought in guest instructor Jon Gnagy to help walk us through it. Gnagy was the best drawing teacher (maybe the only drawing teacher?) on television. He taught Andy Warhol and millions of other American kids to draw during the 1950’s. I can’t say that he taught me exactly, though maybe he did, but he was a little advanced. I was all of three years old when my mother (a painter) and I would watch his show together. But I think he planted lots of seeds and questions in my unconscious. I remember even at that tender age being flabbergasted by his demos. “How does he know this stuff?” I remember asking myself. I still wonder about that. ‘Old School’ drawing doesn’t seem to go out of style. It doesn’t matter if it’s in a courthouse mural by Thomas Hart Benton or a children’s book illustration by Marla Frazee or Tasha Tudor or Robert McCloskey. It just always stays cool. Ask any kid. The graphic images Marla Frazee renders with such assurance resemble the classic book illustrations of — well, the Jon Gnagy days, the 1950s. They don’t feel ‘dated’ because they bring us kids, people, animals and landscapes that kids (and the kid in us) can relate to. These subjects when rendered capably seem only to accrue in value. For a better look at Marla’s work, here’s an animated trailer for All the World, a picture book illustrated by Frazee and penned by poet Liz Garton Scanlon. 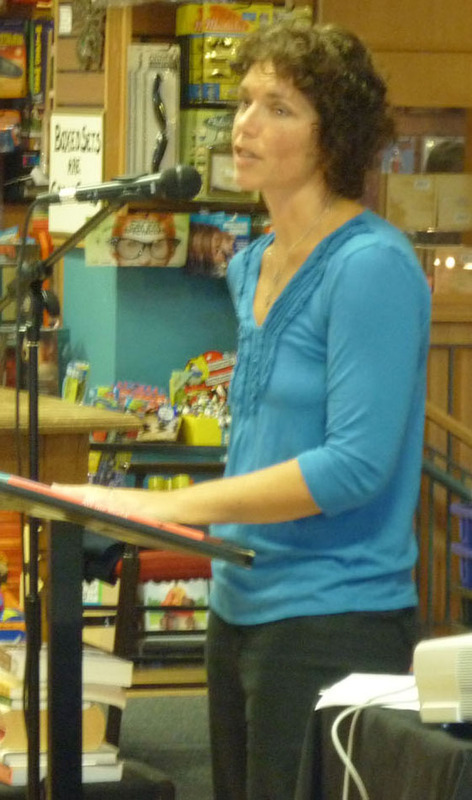 Liz Garton Scanlon addresses the Austin chapter of the Society of Children's Book Writers and Illustrators (SCBWI) on a packed second floor of Austin's famous independently owned bookstore, BookPeople. Scanlon and Frazee are scheduled to talk about their work together at the Austin SCBWI (Society of Children’s Book Writers and Illustrators) annual conference Destination Publication on Saturday Saturday, January 30, 2010. Caldecott Honor artist Frazee will deliver the keynote for illustrators and also reviewportfolios, as will talented illustrator Patrice Barton. Find the full conference lowdown and registration form here. Henry Holt Books for Young Readers Creative Director Patrick Collins will review portfolios a month later at the Houston SCBWI conference. Mark your calendars for Saturday, February 20, 2010 and download information and a registration form for the Houston conference here. 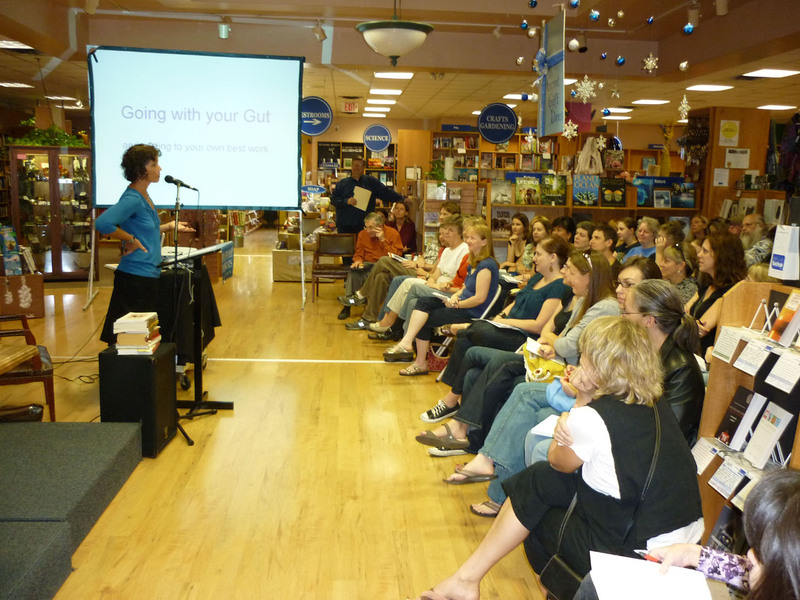 Liz Garton Scanlon speaks on intuition at the November 7 meeting of Austin SCBWI. So she focused on these strengths to produce her picture book poem All the World that is now garnering great reviews and making all the right 2009 book lists, including most recently a Parents’ Choice Gold Medal. Author-illustrator Mark Mitchell hosts this blog. Mark teaches children’s book illustration at the Art School at the Austin Museum of Art and through the “Make Your Splashes; Make Your Marks!” online course.